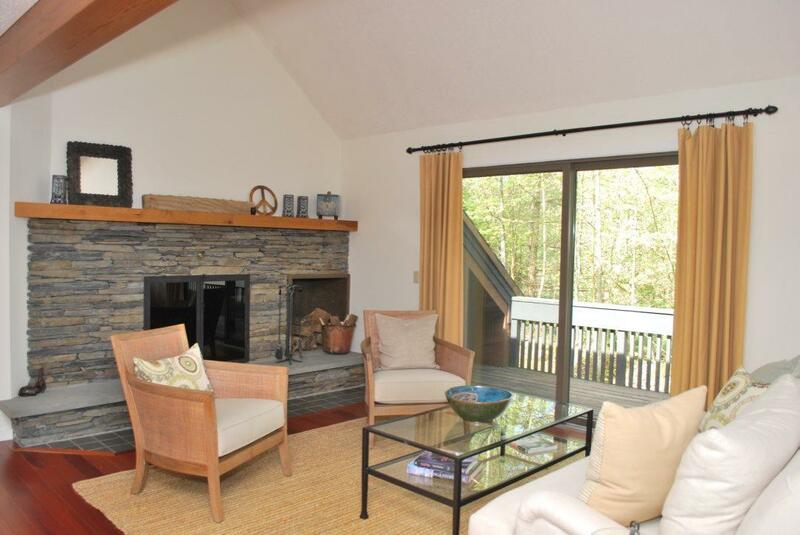 Relax and enjoy your secluded, private "Home in the Woods" while enjoying the peace of mind and luxury amenities of townhouse condominium ownership. Set at the end of the road surrounded on three sides by an enormous deck overlooking a pond. 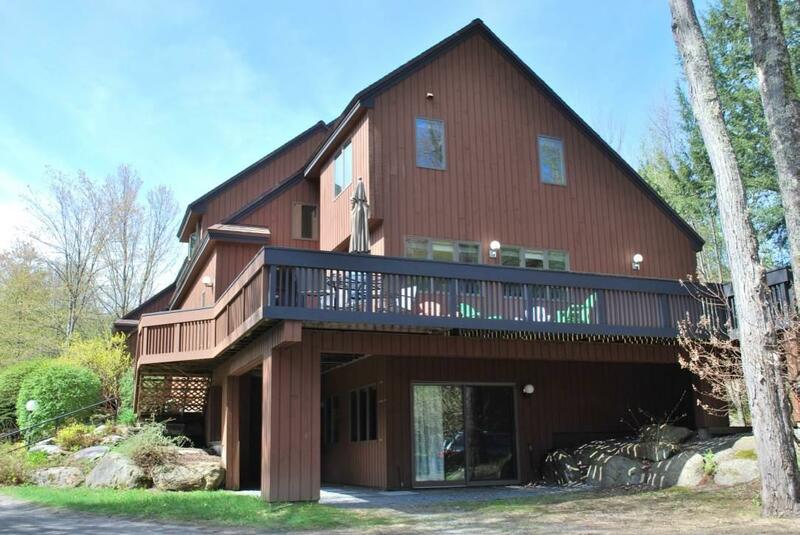 Trail walking, cycling, cross country skiing and snowshoeing start at your front door or enjoy the complex tennis courts, swimming pool and work out area. At the end of the day relax in your indoor hot tub and private 6 person sauna. The ground level game room with fireplace, cable TV, wet bar and pool table await. 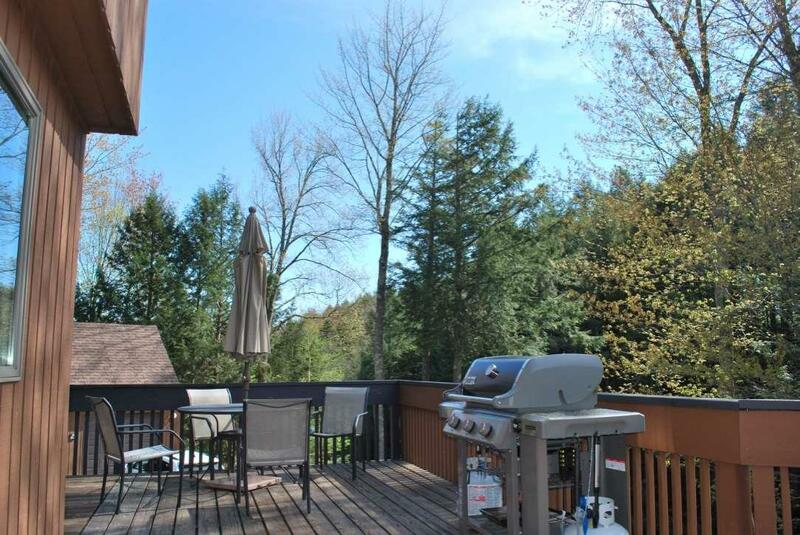 The main floor opens on to the deck for seasonal entertaining. 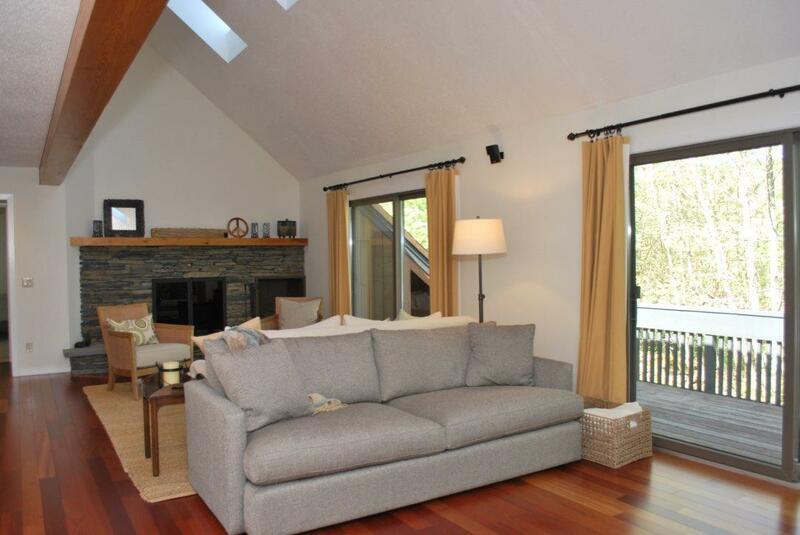 The third floor has three bedrooms, including the cathedral ceiling master suite. The two car garage is steps away. Courtesy of The Team At Little River Realty of Little River Realty.